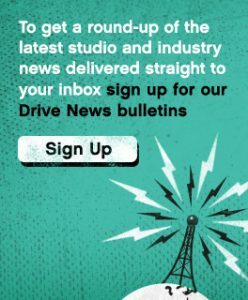 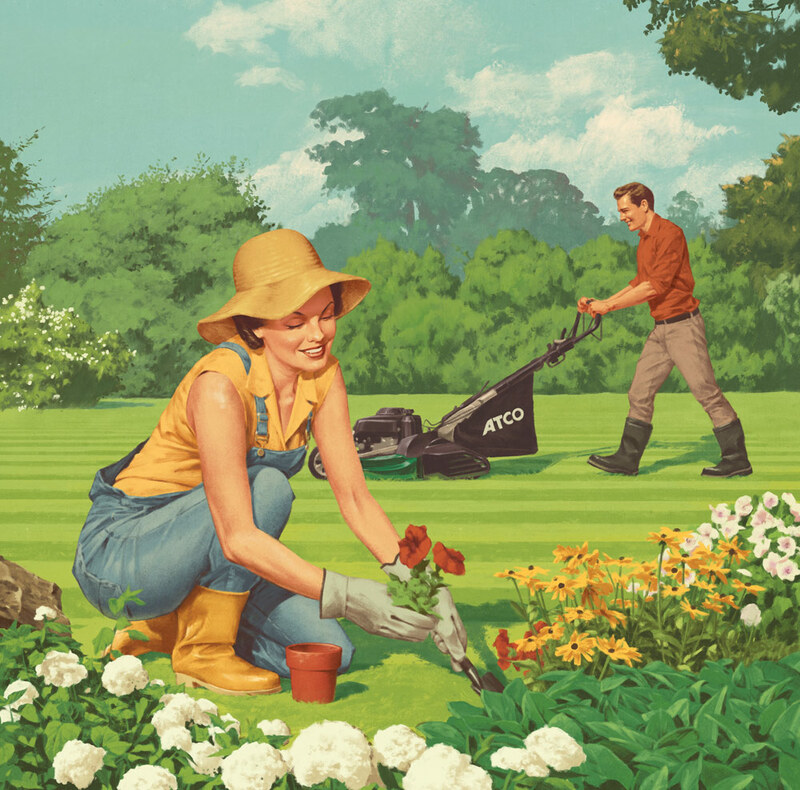 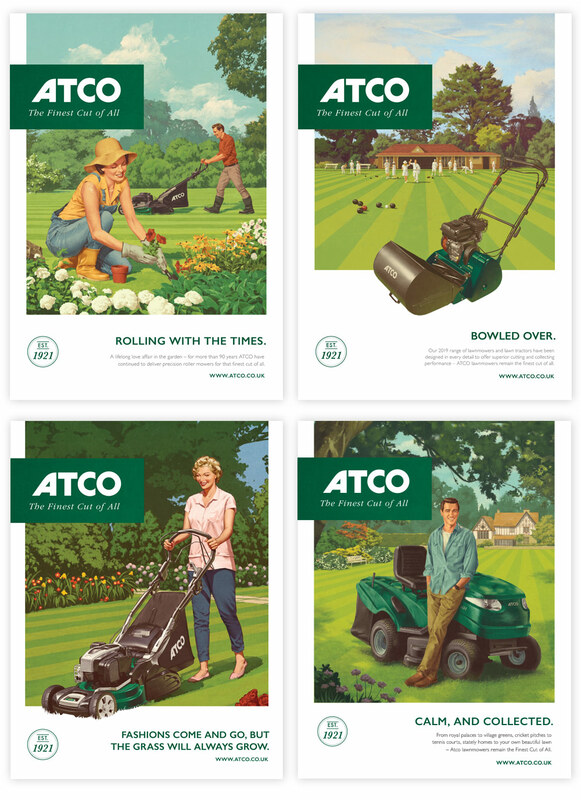 Take a look at the beautiful new suite of 2019 press adverts for ATCO lawnmowers by Drive. 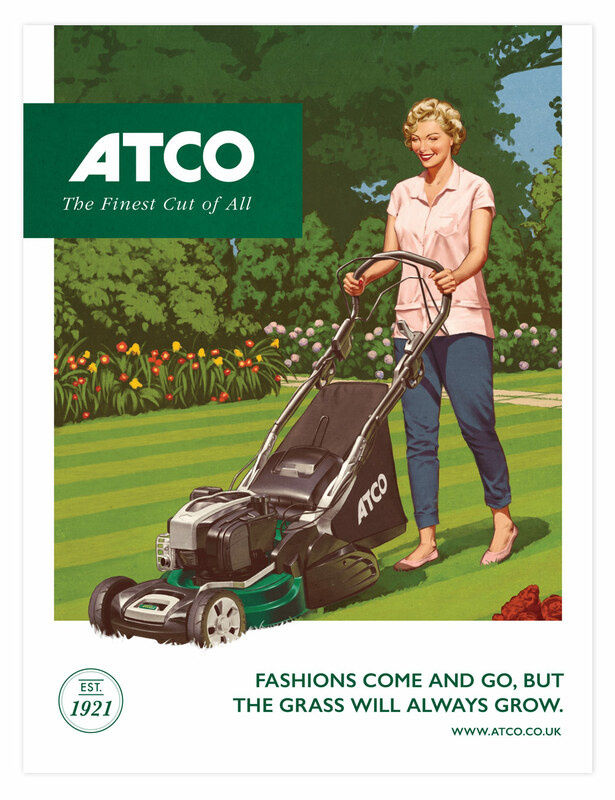 These vintage-style adverts lean on ATCO’s near-century of manufacturing precision lawn mowers that are renowned for their perfect stripes. 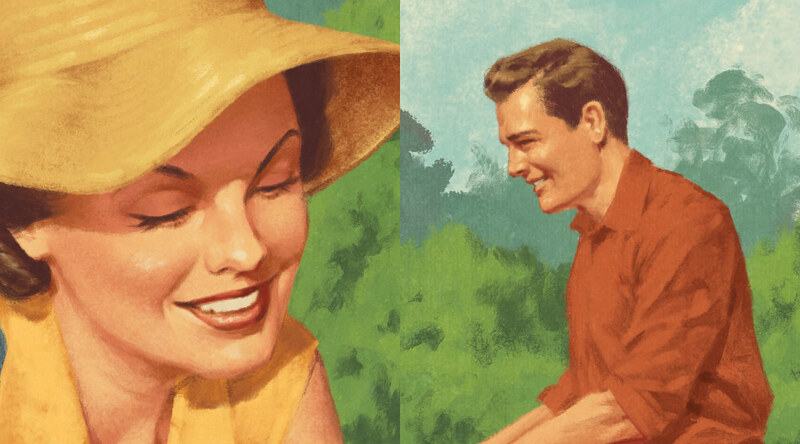 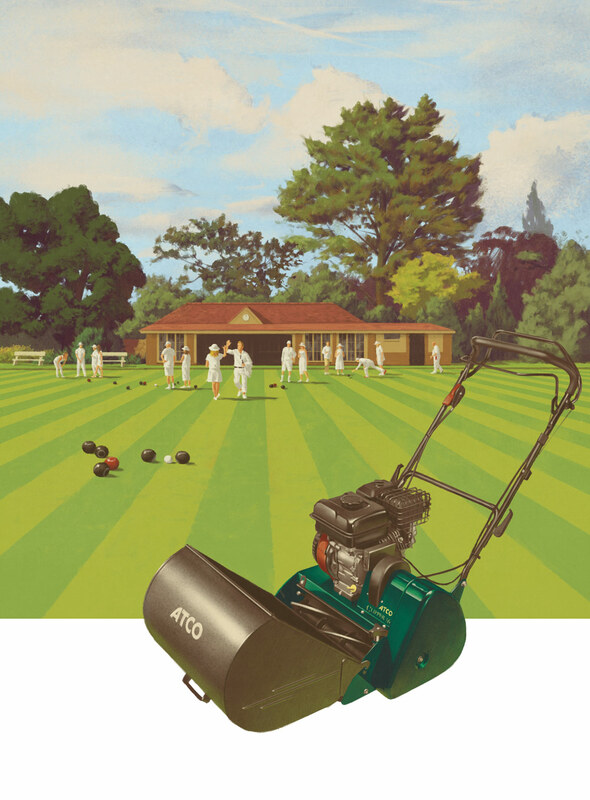 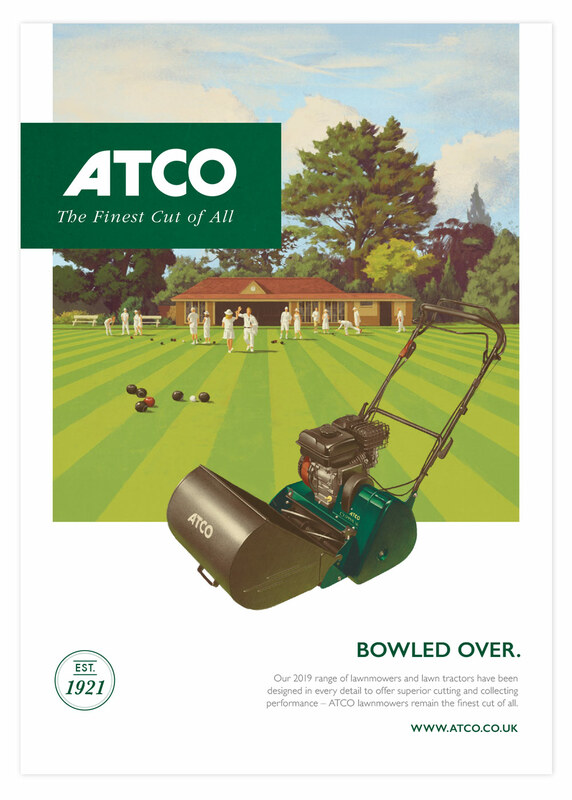 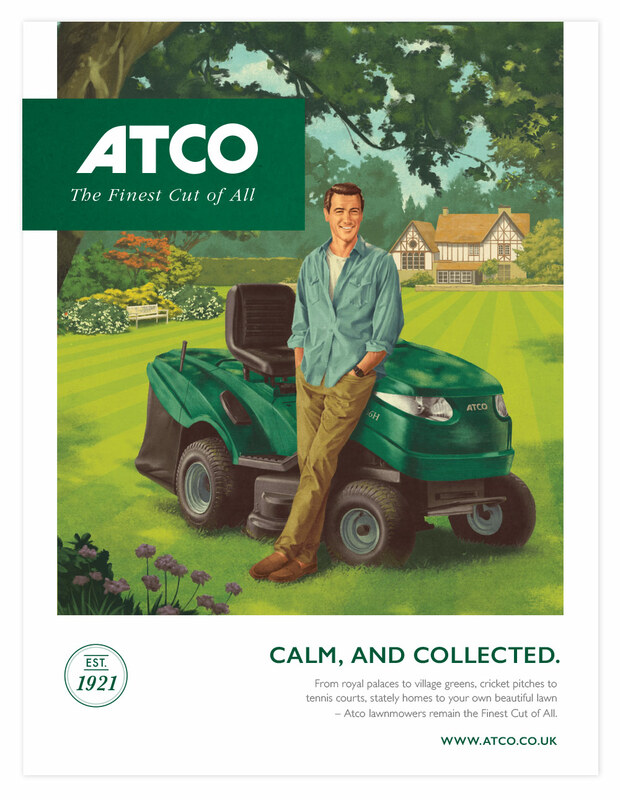 The deliberately playful headlines, 1920s typography and bespoke illustrated scenes are styled on the Golden Age of 1920s/1930s advertising, each paying homage to ATCO’s long history while showcasing the latest in mowing technology. 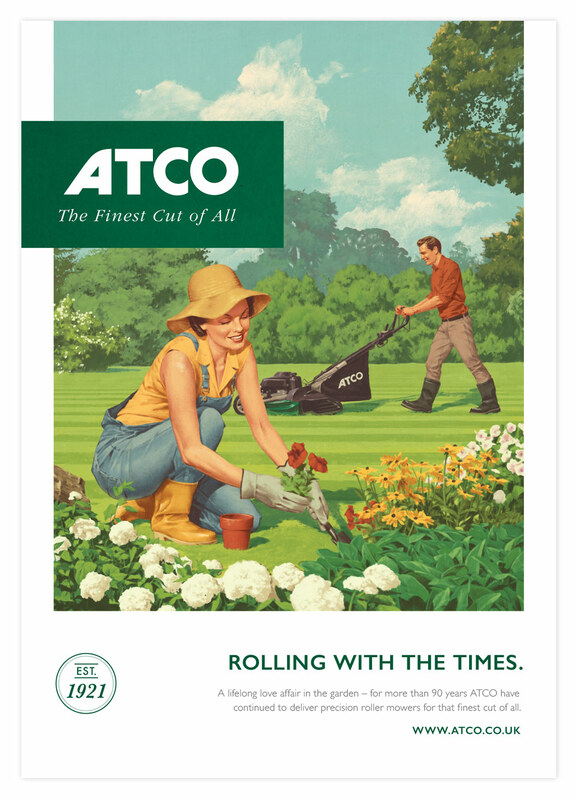 Each advert seeks to promote a different aspect of ATCO’s products or ethos – their walk-behind lawnmowers and tractors, their professional usage on larger lawns, and the lifestyle aspect of simply enjoying the garden. 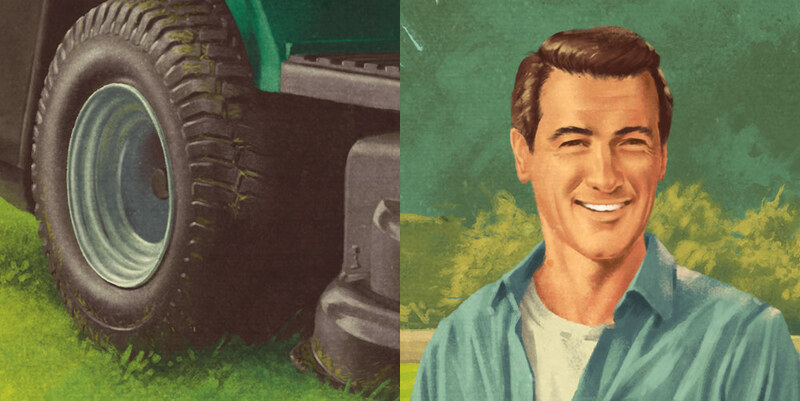 This tongue-in-cheek blend of modern products with vintage imagery was also used on an extensive range of 2019 product brochures, price lists, posters and dealership collateral.